Anthony is a British journalist whose American wife, Lucy, has died suddenly. Haunted by her death, he becomes obsessed with her past and the years he missed before he met her. To find out more, he travels to a remote part of the Nevada desert to meet Lucy's first husband. Their encounter is the beginning of a journey that takes him across the world, to the edge of madness, and into the corners of the human heart. In this a drawn-out journey of bereavement, he discovers he is never far from the woman he still loves. 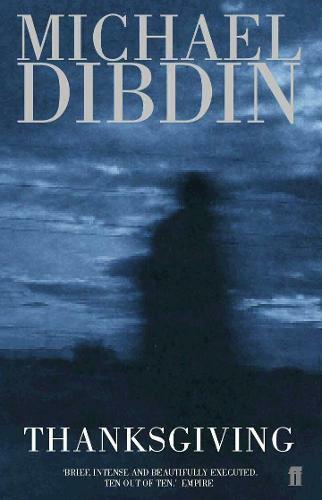 If you enjoyed Thanksgiving you may also like Dirty Tricks, also by Michael Dibdin.